Longstanding issues over solidarity in migration and asylum reforms remain unresolved following a meeting of EU leaders in Brussels. 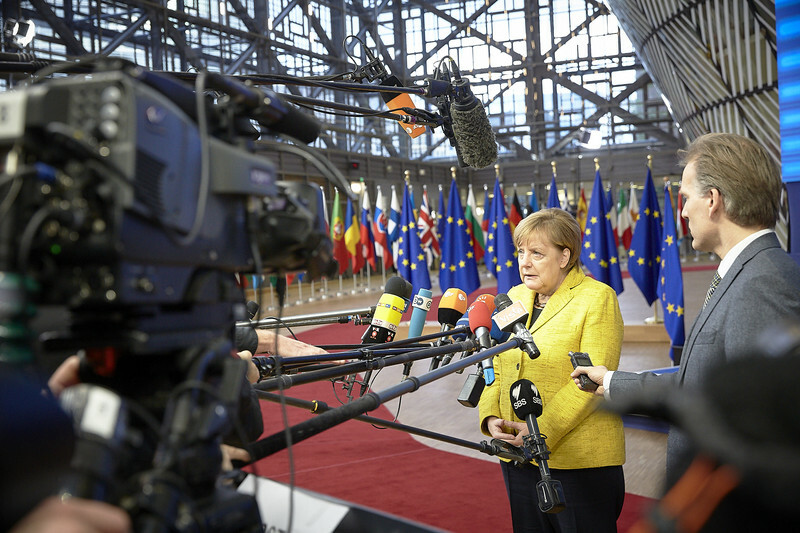 Talks at an EU summit on Thursday (14 December) were never meant to answer the broader and divisive debate but instead set the course for a consensus on internal EU asylum reforms before the end of next June. EU leaders had a "sober" and "frank" discussion over a dinner of roasted langoustine and 'ballotines of capon', according to an EU official - a diplomatic code for tense talks. The tone of the talks came into sharp relief ahead of the summit when the European Commission accused European Council president Donald Tusk of being "anti-European", after he described the commission's migrant relocation quota policy as "highly divisive" and "ineffective". 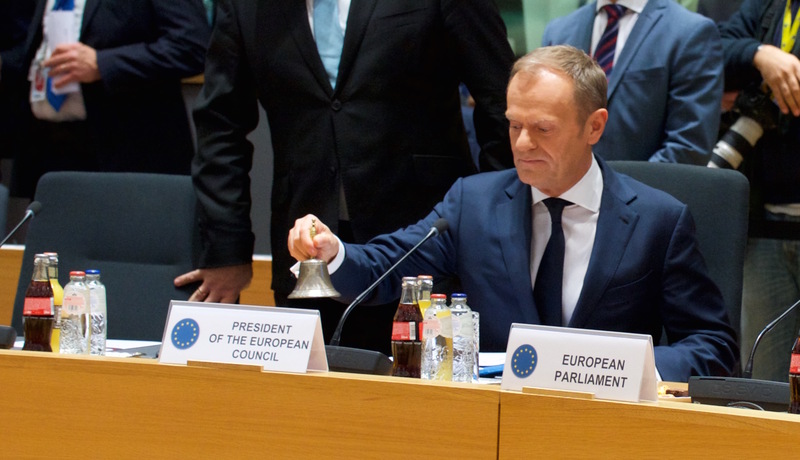 Tusk had then put forward a second draft in an effort to soften the quarrel, but left the issue of quotas untouched. "When Tusk says they are 'ineffective', it is of course in the big picture that relocation does nothing to reduce the number of illegal migrants arriving to Europe," one EU official tried to explain. "Throwing that note two days before the summit was not helpful," one EU official told this website, adding however that is was not the main problem. A diplomat noted on the contrary that with Tusk's note, countries that oppose refugees quotas had " for the first time a feeling that Brussels understands them". But German chancellor Angela Merkel shot back, noting "there can't be selective solidarity". Following the 2.5 hour dinner debate on migration, she said she was "not happy" with the situation and that "a big piece of work" still had to be done before the June deadline. 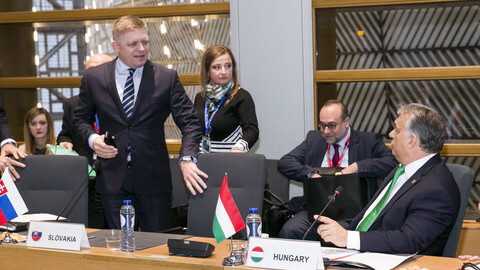 The divide between the member states over the issue remains serious with the Czech Republic, Hungary, Poland and Slovakia, known as the 'Visegrad Four', leading opposition against any future plans to parcel out asylum seekers on a mandatory basis. "Quotas are ineffective and I fully support the idea of Donald Tusk," Slovakia's prime minister, Robert Fico, told reporters. 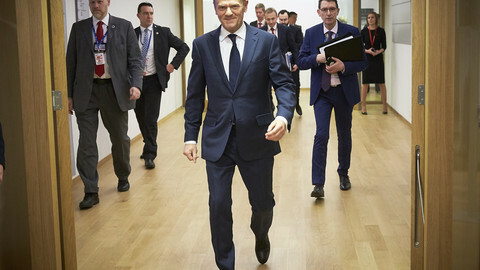 It also raised the question of whether Tusk was over-stepping his mandate, given his suggestion to scrap quotas appeared to challenge the commission's right to initiative on policy and law-making. The debate dates to 2015 when EU states had voted through a legally-binding mandatory quota rule into a two-year relocation scheme to distribute asylum seekers from the major entry 'hotspots' of Italy and Greece to other member states. The system was launched following a majority vote among member states, overruling objections from dissenting capitals like Budapest. The scheme, which initially intended to relocate a total of 160,000 people, was later revised down to under 100,000. Of those, only some 35,000 were deemed eligible following restrictive recognition rate rules. 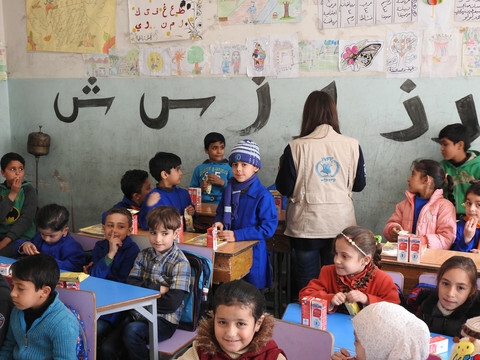 Such recognition rates have spawned anomalies given that people from the Bahamas are eligible for relocation while Afghans, whose country has seen nothing but war for the past decade, are not. Although the two-year scheme ended in September, Hungary still hasn't accepted any of the allocated asylum seekers, nor has Poland. But the European Commission now wants to introduce a similar automated quota system as part of its proposal to reform the 'Dublin' regulation, which determines who processes asylum claims. EU leaders are supposed to reach a consensus on this reform next June but the large gulf among EU states opens the possibility of having to resort again to a qualified majority vote, the same used to begin the divisive two-year relocation scheme. 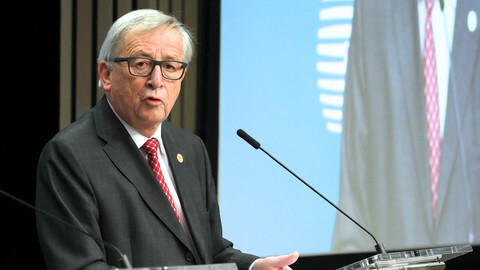 "If ever we don't succeed in agreeing by consensus, it is not excluded that these different points are decided by a qualified majority vote," said EU commission president Jean-Claude Juncker, following the discussion. Furthermore, the European Parliament has backed the commission's proposal and wants a "permanent and automatic relocation mechanism without thresholds" calculated on GDP and population size. Both the commission and parliament are facing an institutional deadlock with the council, representing member states, given the reoccurring backlash on quotas. Efforts by the Estonian EU presidency to reach a compromise among all member states were sidelined, despite broad support by the Germans and the commission. "The Estonian paper is the way to follow," an EU official however told EUobserver, while another pointed out that any compromise between member states would have to take into account the parliament's position, in order not to jeopardise a final agreement between EU institutions. "We have tried everything. The future [Bulgarian] presidency should be very imaginative to find anything else in there," said Klen Jaarats, an adviser to Estonia's prime minister Juri Ratas. Divisions on relocating asylum seekers remain entrenched following an EU summit. 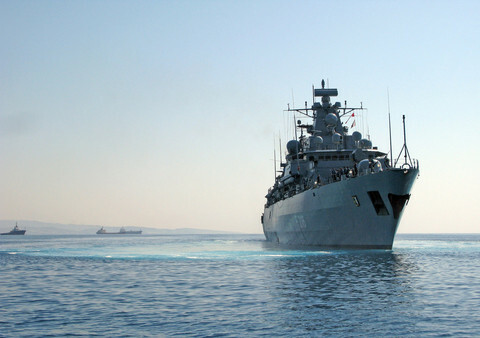 The east-west divide opens up the possibility of relying on a majority vote for a key asylum in June, further exacerbating disputes among opposing capitals.